In his recent book, Galileo's Dream, Kim Stanley Robinson creates a portrait of Galileo's life in which he combines historic research with science fiction tropes to show the impact and challenges of paradigm shifts and their very human origins. One of the sources for this work is the research of Mario Biagioli, who will discuss the importance of Robinson's approach to historians of science and interrelationships between science studies and science fiction. Additionally, UCSD Professor of Physics Brian Keating will describe his observations of the early universe made with a version of Galileo's refractor telescope, which is sensitive to radio-waves, instead of visible light. This telescope located in Antarctica, has made ultra-sensitive images of the afterglow of the Big Bang. He will show images of the early universe as well as data from observations of Jupiter made with a new UCSD telescope, and will discuss techniques to peer deeper into the universe, standing on Galileo's shoulders. All will be framed by films of high resolution images produced by Sheldon Brown of the four Jovian moons discovered by Galileo some 400 years ago. This event is organized by Don Wayne, Provost of Revelle College. Co-Sponsored by: California Institute for Telecommunications and Information Technology (Calit2), Clarion Writers? Workshop, Center for Research in Computing and the Arts (CRCA), The Council of Provosts, Department of Literature, Division of Arts and Humanities, Division of Physical Sciences, Revelle College. Mario Biagioli is Professor of the History of Science at Harvard University. After studying computer science at the University of Pisa (Italy) and receiving an MFA in photography from the Visual Studies Workshop/RIT (Rochester, NY), he was awarded a PhD in history of science from UC Berkeley in 1989. His work has focused mostly on the place of science and discovery in the baroque court, and the uses of instruments, imaging techniques, and the tactical uses of print, spectacle, and display in the making of knowledge (Galileo Courtier (Chicago, 1993 ? 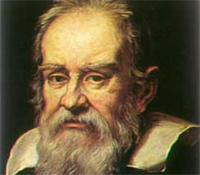 translated in German, Greek, Spanish, and Portuguese) and Galileo's Instruments of Credit (Chicago, 2006)). Along with a standing interest in the scientific revolution, he has also explored more modern topics, like Nazi science, science museums, as well as methodological debates concerning science studies and their relationship with the humanities. A Guggenheim Fellowship allowed him to develop an additional research focus on the history and philosophy of intellectual property and on the author function in science from 1600 to "big science." He is now working on "Claiming the New" ? a book on intellectual property in science. He is also the editor of The Science Studies Reader (Routledge, 1998), and (with Jessica Riskin) of Nature Engaged (Palgrave/McMillan, in press). UCSD graduate Kim Stanley Robinson is a well-known science fiction writer. Author of the Mars trilogy (Red Mars, Green Mars, Blue Mars), his novels and short stories have been translated into twenty-three languages, and have been given Hugo and Nebula awards, as well as awards in England, France, Spain, and Japan. In 1995 he went to Antarctica as part of the U.S. National Science Foundation's Antarctic Artists and Writers' Program, and in 2008 he joined the Sequoia Parks Foundation's Artists In the Back Country program. Last year Time magazine named him one of their 'Heroes of the Environment.' He serves on the advisory boards of the Clarion Writer's Workshop, the Planetary Society, the Mars Association, and UCSD's Sixth College. This September he will be the guest of honor at the World Science Fiction Convention, in Melbourne, Australia. Professor Brian Keating (PhD, Brown University 2000) is an astrophysicist with UCSD?s Department of Physics and the Center for Astrophysics and Space Sciences. He guides a research team of undergraduates, graduate students, and Postdocs to develop sensitive instrumentation to study the early universe in the radio-, microwave- and infrared-wavelength regimes of the electromagnetic spectrum. He holds a U.S. Patent for a novel microwave polarization modulator. Keating completed postdoctoral research at Stanford University and was an NSF Postdoctoral Fellow at Caltech before coming to UCSD in 2004. In 2007 he received the Presidential Early Career Award for Scientists and Engineers at the White House from President George W. Bush for his work on a telescope he designed and fielded with his students and colleagues at the US Amundsen-Scott South Pole Research Station. Please contact Nancy Daly (ndaly@ucsd.edu, 858-534-4618) to request reasonable accommodations that will permit access and participation.